A few weeks ago we shared the dramatic story of Pastor Wayindama. You may remember the wisdom he displayed as he was able to intervene for the safety of the missionaries and of the seminary students during the political unrest of 1962. If you have not read that story yet, please feel free to click on the link provided on his name. We would like to honor Wayindama further. So today we’ll share a brief summary of the rest of his story. First it must be noted that Wayindama was identified as a very gifted and wise young man. He was appointed as a teacher in Mutalawanga and later in Kamayala. Through a competition he was selected as one of the best candidates to continue his studies at the Kalonda Bible Institute, where he later became a professor. At that time (1940-50s) many Congolese with limited Biblical training became pastors based on the missionaries’ esteem and recommendation. Wayindama was the first pastor in the territory of Kahemba with extensive Biblical training. Missionary witnesses believe it was his solid training that contributed greatly to the growth of his strong and peaceful personality. Wayindama contributed to the translation of the Bible into local languages, specifically he was part of the translation team of the Chokwe Bible. Preaching in the local trade language was not enough. He believed Christians needed to read the Bible in their native tongue, which would allow them to meditate on the word of God in their heart language. This in turn would help strengthen and deepen their faith. Christianity should belong to each community. in the culture, morals, and ideas of the people. Witnesses reported Wayindama went anywhere the church needed him. He put himself completely at the service of his fellows. The local church in Kandala gave him credit as the pioneer of the orientation course at the missionary station. In his leadership role he also inspired many young leaders. 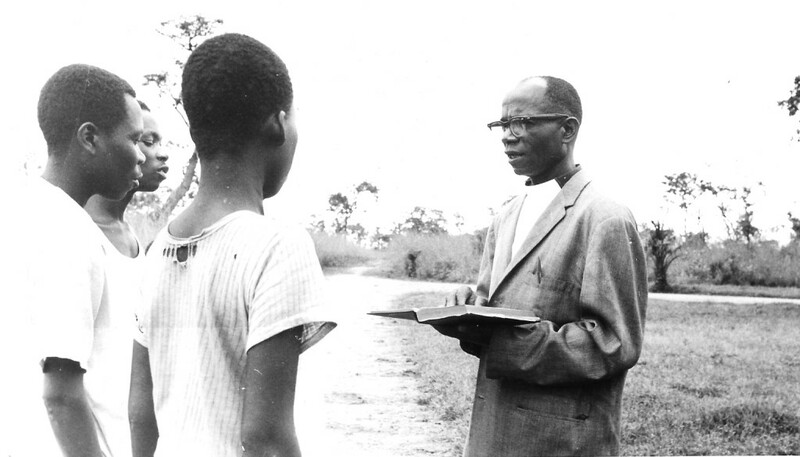 During Wayindama’s lifetime, the church did not pay much attention to the material needs of the Congolese men and women who responded to the call of Christ. These dear ones often served at the peril of their health, because they lacked transportation. Because Pastor Wayindama belonged to the class of the wise, he was called on repeatedly to settle or arbitrate conflicts. He traveled great distances on bicycle or on foot. In 1991 Wayindama died at age sixty-five. Pastor Athanase Musende was one of those who sat beside him in the last moments before his death. Musende and the other witnesses affirmed they had witnessed the death of a pious man. Surely Wayindama will be one of the multitude standing before the throne. We at Hope4Congo agree with Wayindama. Bibles need to be translated into the heart language of the people/their tribal languages. It is why we focus so much of our work on this effort: the Bible Project. God will put it into their hearts. Feel free to also read these two blog posts about this work: New Bible Translation and Bible Distribution Project. If you follow our blog regularly, you also know, with your help we were recently able to make it easier for one pastor/evangelist to fulfill his role through the purchase of a motorcycle: Meet Saraphin Kutumbana. Check our PROJECTS page for additional suggestions. Our thanks to author, Vincent Ndandula; and to the Institute of Mennonite Studies (copyright 2012) and to the Institute for the Study of Global Anabaptism for the information we have shared about Wayindama’s life. Please join us February 22 when we will share the story of Rev. Athanase Musende.